Count on us whenever you have a problem with your garage door. We can repair and replace any part, from the bottom seal to the panels. If the problem is urgent like a broken spring, take advantage of our same day services. Contact our company for the best service in California. 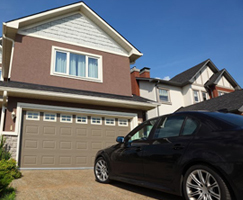 We have a wide list of garage door services such as roll-up garage door installation. Our experts can take care your concerns without breaking a sweat. 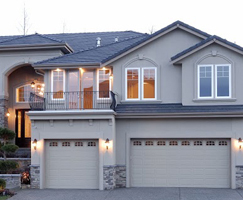 For professional garage door services, you can always count on us at "Garage Door Repair Sausalito". We have been offering professional repair, installation and maintenance services to local residents many years now, and so you can rest assured your door is in good hands. Is your door stuck half open? Or does it refuse to open altogether? We've got you covered! There is no problem we can't take care of, all you need to do is contact us and your door will be up and running before you know it. We offer same day services, and make sure the problem is perfectly solved before we leave. Our inspiration is you! The requirements of each overhead door in combination with the progress of electric opener systems and the great accomplishments of the largest manufacturers are a constant challenge. We're driven by these changes and keep updated with any new accessory that will make your current electric operators even easier to operate. We're here to inform you about them, but also provide consultation and assistance when you're looking for new solutions. Technology has made an impact on our lives and we cannot stay indifferent. We're familiar with the newest keypads and remote controls and offer our customers options based on their own needs. We're surrounded by many choices, but we stick with the best ones! We choose to order your new sectional doors, repair parts and opener systems from the elite of industries. We have selected the most skilled professionals and have created excellent teams of wonderful people, who really care about the outcome of their work and keeping people safe. This is the ultimate goal of Garage Door Repair Sausalito. Keeping you safe and ensuring that your garage door is functional are the main goals of all people at our company. This is why we'll be there to fix the problematic opener sensors and the overhead door springs 24/7. It's not accidental that we have emergency technicians on duty at all times. Garage door safety depends on us, our speed and the efficiency of our work. So, our vans are ready, we're knowledgeable and fully trained, and our service is always efficient. Why don't you call us today to find out more about us?